coffee for the sake of coffee. 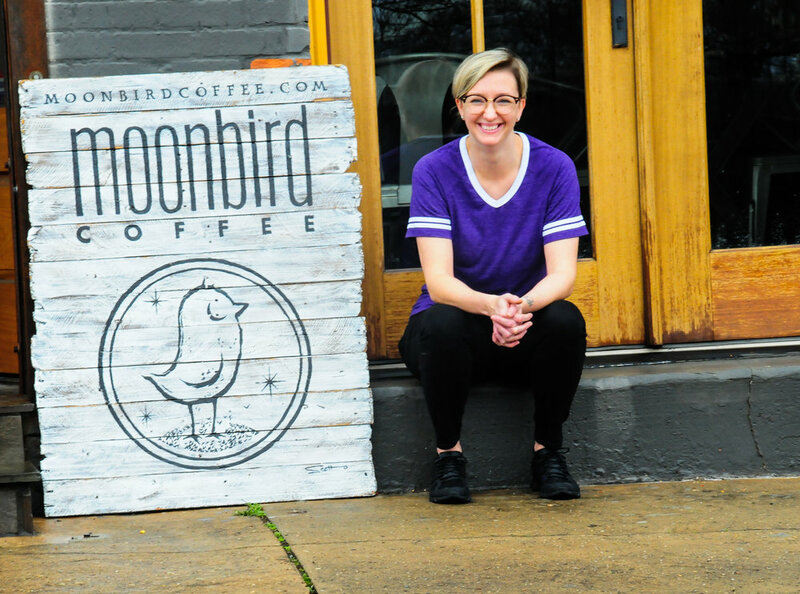 Moonbird owner and barista Kacee has worked in the coffee industry for almost 10 years. “Coffee and tea interest me, they're a passion. I care about their history and how we experience them. I’m excited to bring that enthusiasm and curiosity to people who, like me, just really appreciate a good cup of coffee or tea." And at Moonbird, customers can be sure that Kacee knows what's in their cups. "I’ve selected everything on the menu with a mind toward quality and knowledgeable customer service. I've tasted everything. I've handled everything. I can tell you about what's in your cup and why. I appreciate that care when I frequent businesses in my personal life, so that's the standard we're setting at Moonbird." That Moonbird is located in Southbound Restaurant is also no accident. Southbound's food is a celebration of the farmer and fresh, seasonal ingredients. It's also a place where folks can get together to enjoy local entertainment and special events. "There’s something to be said for knowing where your food comes from and really caring about your place in the farm to customer ecosystem - and that’s how I'm approaching my business at Moonbird. 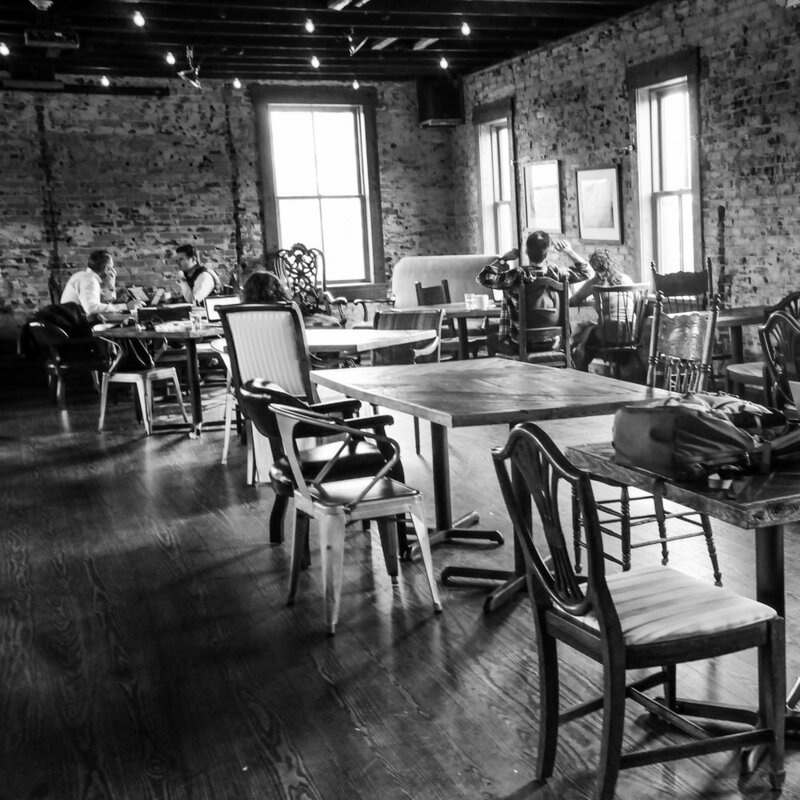 Coffee shops are like communities within communities. They become part of our routines and our lives. I'm excited to share our products, meet new people, make new friends, and nurture a high-quality customer and community experience here in Chamblee." At Moonbird Coffee, the customer experience begins with a foundation of high-quality ingredients and products. We are proud to partner with companies that are as committed as we are to translating our passion for what we do into customer satisfaction. Learn about our products by clicking on an image below. 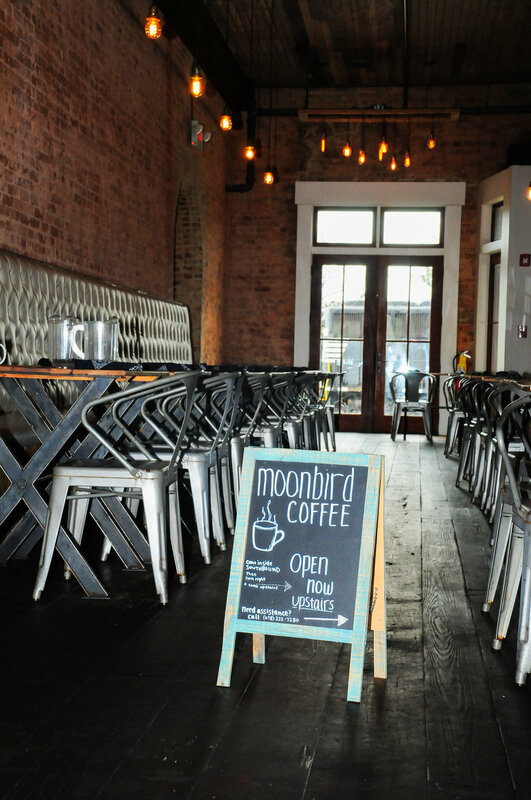 Visit Us: Moonbird Coffee is located upstairs at Southbound Restaurant in Chamblee, GA. We have ample parking (free! ), and we're within walking/biking distance of the Chamblee MARTA station. Contact Us: Feel free to give us a call if you have questions - (678) 332-7280 - or send us a note using the form below. Private Event: If you are interested in reserving space for a private event, please contact amanda@southboundatlanta.com.